Forest land, as much as thrice the size of Bengaluru, has been encroached upon in Karnataka as of October 2016. According to data from the ministry of environment, forests and climate change (MoEF), a total of 187,000 hectares of forests were encroached in this southern state. It's a staggering 129 per cent rise from August 2014. After Madhya Pradesh (534,000 hectares) and Assam (317,000 hectares), Karnataka reported the highest encroachment of forests in India. Most of the encroachments in Karnataka have reportedly taken place in Shivamogga district, followed by Chikkamagaluru and the Canara region. While R S Suresh, Principal Chief Conservation of Forest, questioned the size of the forest land under encroachment (187,000 hectares), he couldn’t provide the data. But what happens to encroachers who are evicted from the forest? Do they encroach into some other forests and settle there? “There’s a high chance of evicted people targeting other forests. It’s difficult to contain that. But at our end, we ensure maximum plantation on the reclaimed land so that encroachers find it difficult to settle in that area in future,” said Kumar. One of the immediate consequences of encroachment is evident in the form of number of trees being felled. Karnataka saw 51,278 trees being illegally chopped off between April 2013 and March 2016. According to forest officials, the nature of offences ranges from chopping of trees like sandalwood and teak and cutting of forest trees for housing needs. The forest officials in Shivamogga reclaimed six acre of encroached forest land in two different eviction operations in the district in early October. The residents had cleared the natural forest and made preparations to cultivate the land. 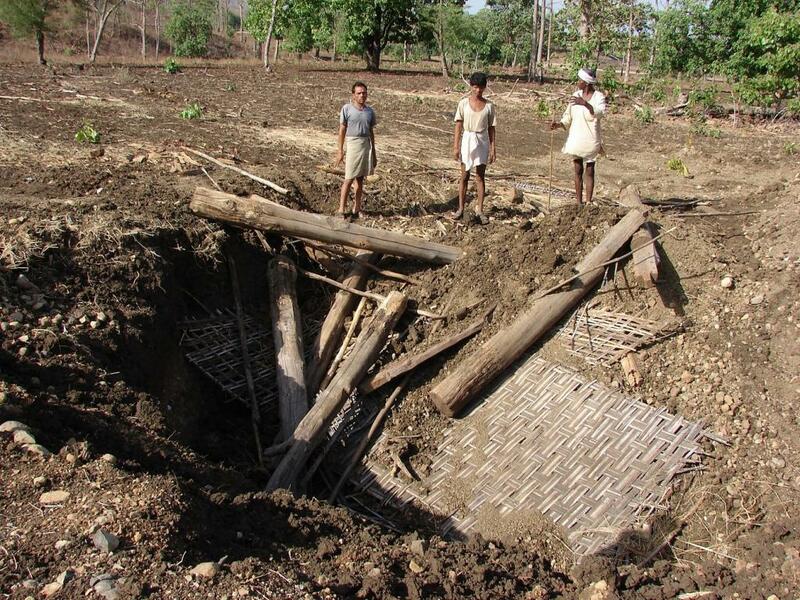 When forest personnel raided the spot, they found two tractors used for tilling the land. In November 2015, the state government had announced that the process of identifying forest land under encroachment has been completed and the process of reclaiming the encroached lands has started. The government had decided that all encroachments above three acres would be removed in the first instance. However, for encroachments of less than three acres, government will take a separate decision on rehabilitation.